Functional vision behavior includes more than 20/20 vision. 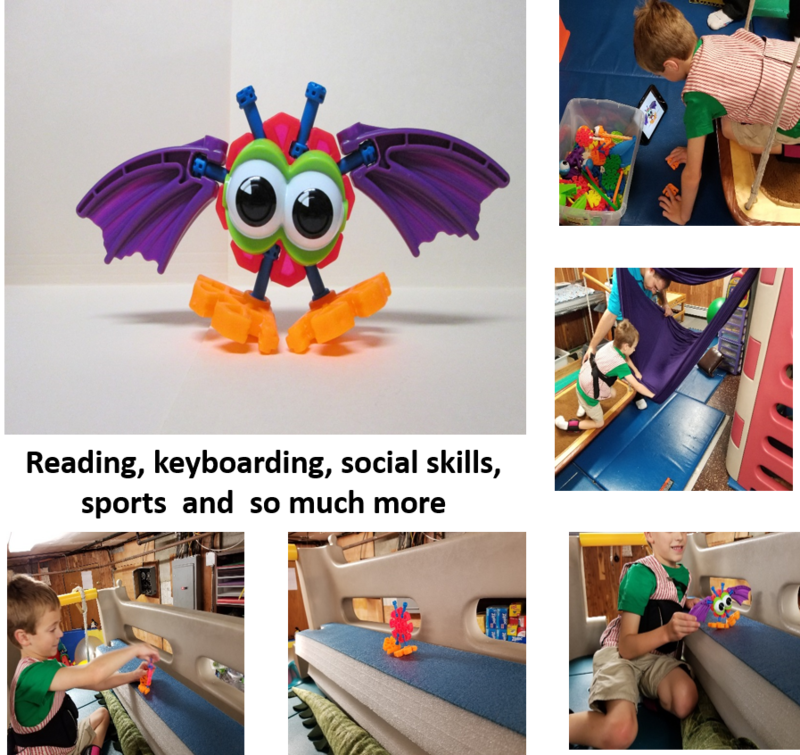 While use of vision for reading and handwriting or keyboarding are very important, use of the eyes for self care, guiding motor moves for coordination, identifying objects in the environment and determining how they are used, are crucial for success with independent living skills. Functional vision behavior can be strengthened through “play”, by tapping into the intuitive exploratory nature of children. Alternate methods of transporting the pieces from place to place, (i.e. incorporating discriminating use of objects in the environment to determine how these can be used for problem solving).